Then why the f*ck is not working for me? Are you using Gmail or G Suite maybe? There are a lot of chances to answer yes to that question if you’re reading this article… Why? Because Google’s email client has a long time known issue regarding to the Reply-To field, causing to ignore the email set in the Reply-To if your From field is using any email configured in your Gmail/G Suite account, and to make it more weird, sometimes this is only an intermittent issue. My word is not enough? Just search in Google and you’ll find a lot of people talking about it. Is the expected email address shown in the Reply-To field of you email source code? Yes? Ok, then remember what I said above and stop overthinking about the software you used to create the email. That worked fine, it’s the past, the email is no longer in its scope of control, THAT’S NOT THE ISSUE, MAN! Once an email is in your inbox, and you can see the Reply-To field contains the email address you wanted to use in this field, only the email client you’re using has the control to decide to follow your suggestion and use the email address in the Reply-To field for the reply, or not. Ok, makes sense, what’s the solution then? 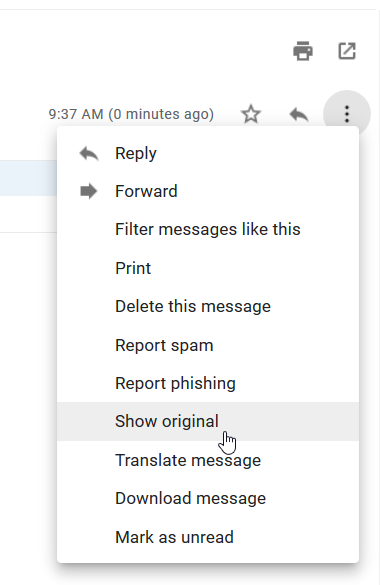 The Reply-To issue in Gmail (or G Suite, both are driven bye the same email client) has been around for many years, I would say it was always there. So don’t expect any fix from Google, someone at some deparment must think they’re doing right. Apparently the issue is happening only when the email message has a From address that is part of your Gmail account setup. Therefore if your Gmail account address is something@gmail.com or something@yourdomain.com, or you have added another@yourdomain.com to your account Send mail as setting and the email message you’re trying to reply has any of those emails set as From address, congratulations! you have found the source of the issue. Fortunately for you there’s a simple workaround that you can use to make Gmail obey, simply use as From address for your website emails any email address not configured in your Gmail account. The simplest thing would be to use a inexistent or unused email​​ address as From address. e.g. If you don’t have any email address with “no-reply” as username, put no-reply@yoursitedomain.com as From address in your website notifications settings. That ​​should prevent Gmail from ignoring the Reply-To field. At least, in my experience and as shown it a lot of Google search results. If you landed here looking for help with your email client ignoring the Reply-To field, and you have confirmed the expected email for it was set in the email source code, but your email client is still ignoring it… I would recommend you contacting the support staff of your email client of choice. If you read the full article you will find when the email address for the Reply-To field was set successfully in the origing, only your email client has the control over what to do with it. That’s your key for a solution.